Sialkot, a Pakistan city will manufacture the footballs for the FIFA world cup 2018 as announced by the ministry of commerce. 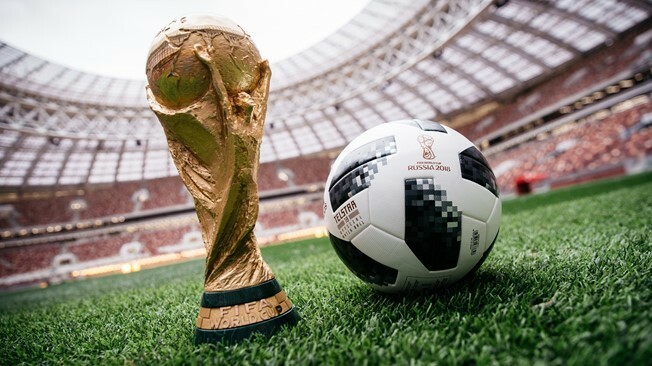 The Pakistan based sports firm has been given the responsibility by FIFA to make the balls for the FIFA world cup Russia 2018 that is to be held in Russia. The ball named as ‘Telstar 18’ will be played within the world cup according to the latest announcement by the ministry. The manufacturing giant forward sport also gave the ball for the previous world cup, 2014. According to PM of Pakistan, he thinks that this step will not only better the image of his nation but also boost the business of the nation. He also said that his nation produces around 40 million footballs each year and this has raised the revenue of Pakistan to 122 million dollars from July 2017 to July 2018. Thus this is a great achievement for their country to grow business worldwide. This edition of the world cup will be a witness of a new technology, Telstar 18 the football that will be played with will come with sensor chips, and this will enable the football lover sync the ball via NFC, thus allowing the user to interact with the ball through the Smartphone. For the first time, such technology is used on balls in the official match of FIFA world cup Russia 2018. Some of the biggest football tournament like English premier league, La Liga and champions’ league is played with balls manufacture in Sialkot, Pakistan. Thus forward sport has developed a good reputation from the supporters in the past and they are now given the responsibility once more to manufacture the ball for the tournament. They also manufactured a new kind of football in February 2018, mini airless football; a football manufactured using advanced manufacturing technology.